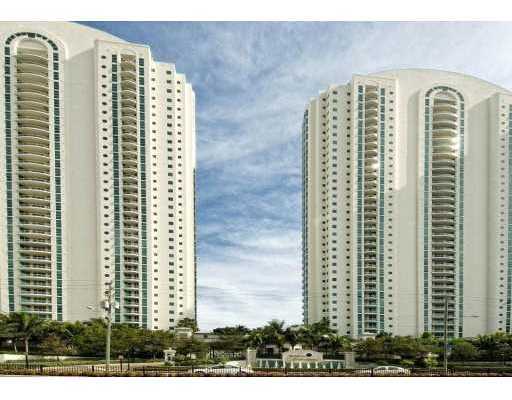 "Sunny Isles Beach Florida Luxury Condominiums" Are You Ready To Buy One? 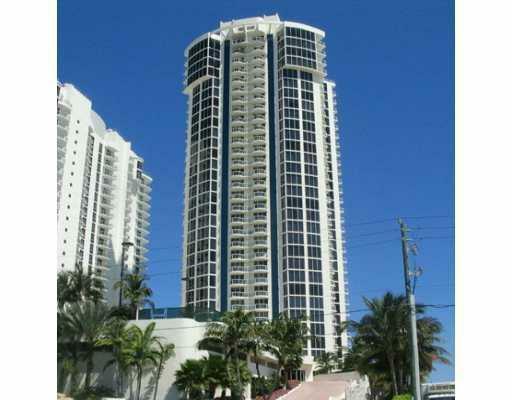 Sunny Isles Beach is one of South Florida's hottest premiere real estate markets with Mansions in the Sky! 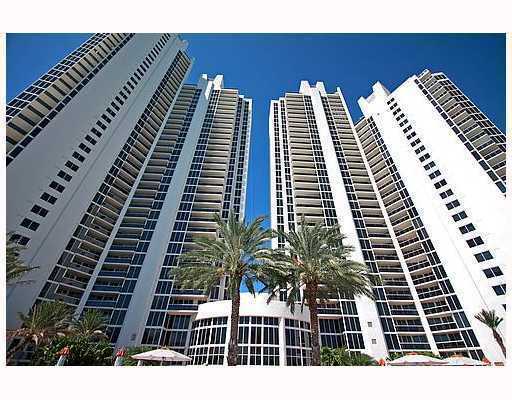 Sunny Isles Beach Real Estate has been redefined for it's elite luxury living! Sunny Isles Beach sizzling excitement of pristine high-rise beachfront living with unparallel pampering has turned up from simmer to boil! 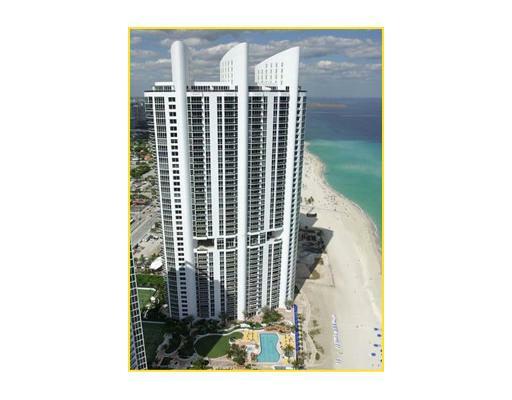 Sunny Isles Beach Ocean Front High End Condominium Real Estate is Elegance, Ambiance, and Luxury! You will be surrounded by two and a half miles of newly widened gorgeous fresh soft sandy beaches, gentle surf combined with breathtaking views of the brilliant Atlantic Ocean Sea and the shining Intracoastal Waterway. Sunny Isles bridge located on N.E. 163 Street is 36 feet high. StreetFabulous outdoor amenities such as water sports, boating, fishing, golf and tennis are conveniently ready to Sunny Isles Beach residents. Sunny Isles Beach, Florida brings South Florida's most recognized abundant high-end shopping destinations of the world to you. Sophisticated restaurants with gourmet dining, entertainment, and exclusive nightspot options are nearby, as well as world class art galleries and museums are discovered within minutes from your door step. 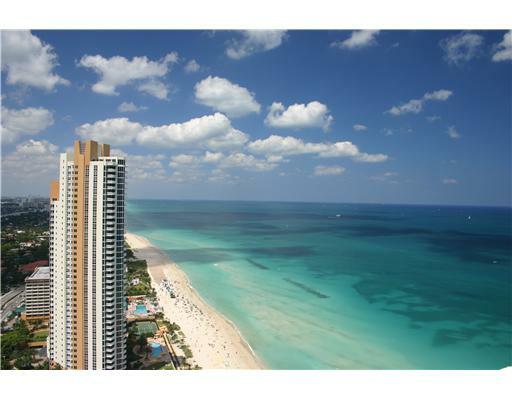 Sunny Isles Beach let's you enjoy spectacular views of the ocean, bay and city! 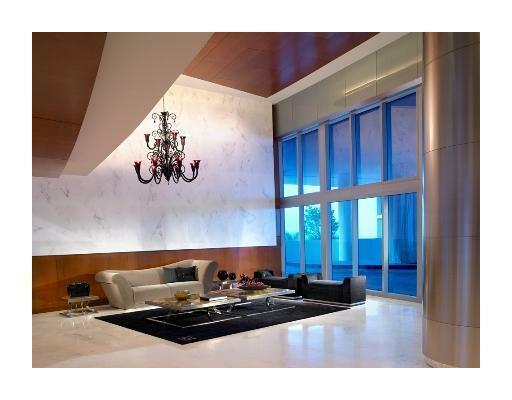 This exclusive location of Sunny Isles Beach embodies a new definition of luxury, comfort and convince! The intimate seaside community of Sunny Isles Beach, the City of Sun and Sea was incorporated in 1997 with plans for new more luxurious look. Sunny Isles Real Estate is located on a barrier island in the northeast corner of Miami-Dade County, bounded by the Atlantic Ocean on the east and the Intracoastal Waterway on the west. 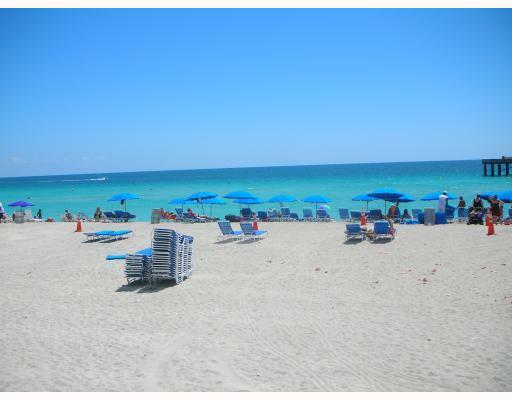 Sunny Isles beach has a laid back seaside ambiance resident’s love. Sunny Isles Beach is nestled between Golden Beach, sophisticated Bal Harbour, the elegant Aventura with Aventura Mall, one of Florida largest shopping centers and Haulover Park. 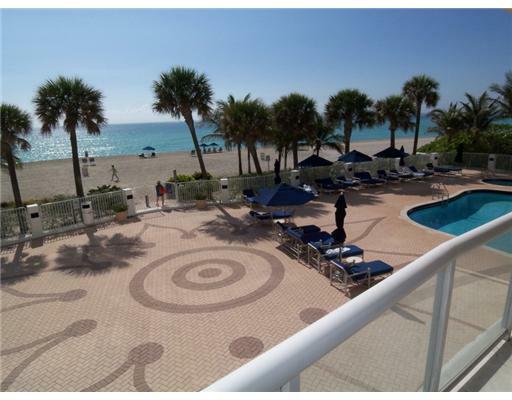 Sunny Isles Beach is midway between downtown Miami and Fort Lauderdale with easy access to business centers, entertainment, sports and recreational facilities, and tourist attractions. Sunny Isles Beach residents and visitors can look for the utmost convenience for air travelers into either Miami International or Fort Lauderdale/Hollywood International airports, or cruise into the Port of Miami or Port Everglades and be in Sunny Isles Beach within 20 to 30 minutes. With the real estate boom of the 2000's, the city of Sunny Isles emphasizes a complete redevelopment on the east side of Collins Avenue having "Sunny Isles Beach High End Luxury Resort and Residential Ocean Front Condominium Real Estate" with astonishing resort style amenities! The city steadily replaced the outdated "motel row" from the 1950's and 1960's with premier residential oceanfront high rise developments now becoming "millionaire row"! 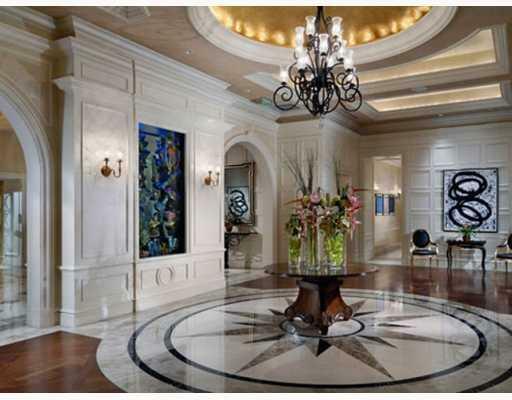 Sunny Isles real estate has become the home of the most luxurious waterfront properties in the country. The sight, sound and scent of rolling waves and golden shorelines is pure paradise when mixed with sleek tall luxury beachfront condominiums next to the re-nourished white sandy beaches. 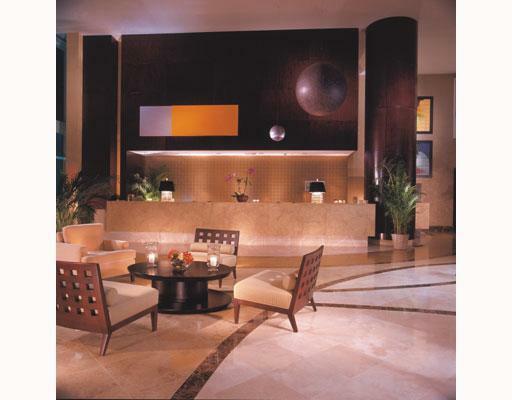 You have easy access to the shops of Bal Harbour and Aventura Mall. 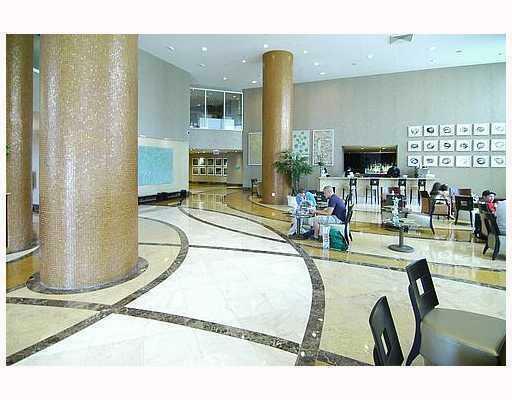 Sunny Isles Beach properties are extremely popular with their luxury and fine appointments. 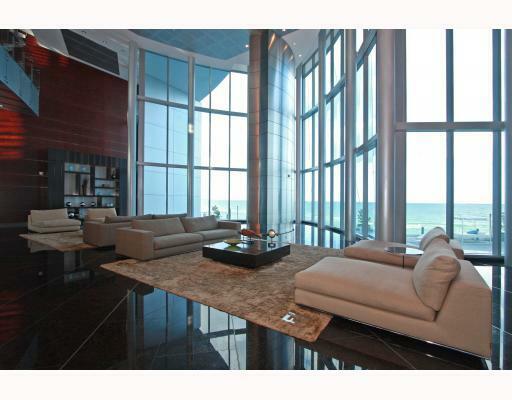 33160 is your premiere Sunny Isles Beach Real Estate Ocean Front Destination filling all of your desires! Acqualina built in 2006 at 17885 Collins Avenue includes a superior level of services provided by the award-winning Rosewood Hotels & Resorts. Rosewood Hotels have devoted their efforts to creating a collection of hotels and resorts unlike any other in the world. Acqualina features 188 impeccable residences and 98 condo-hotel apartments, two oceanfront restaurants including the acclaimed Il Mulino New York, four swimming pools and an innovative marine biology-based children's program. Since their founding in 1979, Rosewood has bestowed each of their hotels and resorts with a one-of-a-kind ambiance and style. 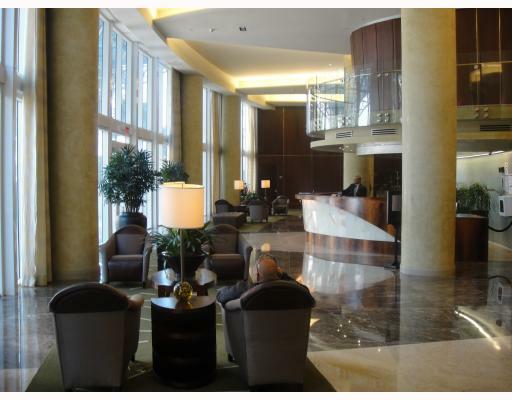 Walk into the elegantly appointed two-story lobby complete with doorman, lobby bar and lounge. Indulge yourself in sophisticated privileges normally reserved for the world's finest hotels, including concierge services, an exclusive beach club, sundry store, fully staffed business center, Rosewood hotel spa and health club with a magnificent two-story 20,000 square foot European Pampering Spa overlooking the ocean, features 16 treatment rooms with a full array of like spa treatments including massage therapy, full service salon, state of the art exercise equipment, his/her locker rooms complete with sauna and steam, enjoy a choice of 4 outdoor pools; an infinity-edge pool reaching out to the ocean, a private pool at the on-site Beach Club with attendants available, a third for the spa, then a fourth private residents-only pool, Rosewood restaurants with fine gourmet dining on the outdoor terrace overlooking the ocean, 24 hour room service, Beach Club Bar and Grill, computerized, security controlled high-speed elevator system, housekeeping and pampering treatments at a European-style spa, kids club, pet friendly, 24-hour valet and security, pool and beach attendants. Also, you can enjoy golf and tennis at Williams Island Country Club and Williams Island Marina. 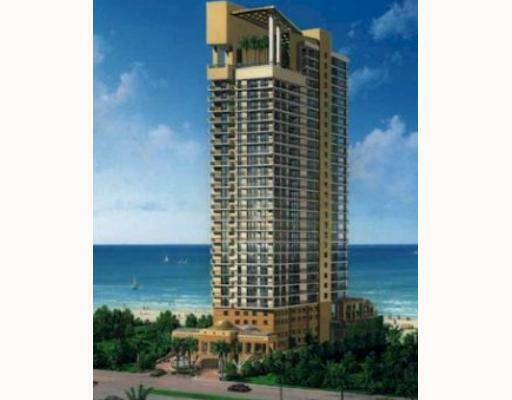 View Acqualina Real Estate properties for sale! 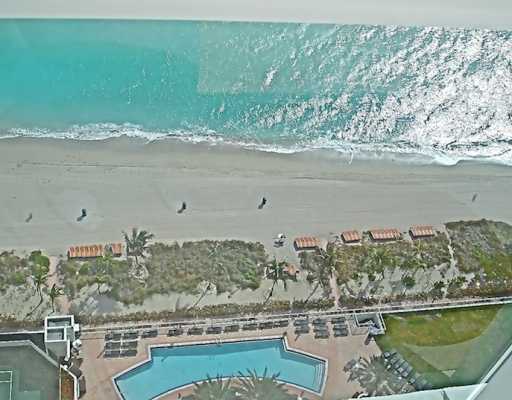 Jade Beach built in 2008 at 17001 Collins Avenue is an ultra luxury condominium overlooking the purest and widest beach in South Florida. Jade Beach is a gorgeous 51-story, 248 Unit, with new technology- intelligent home with touch screen in each residence and a fully equipped kitchen with Snaidero cabinetry, sub zero and Miele appliances. 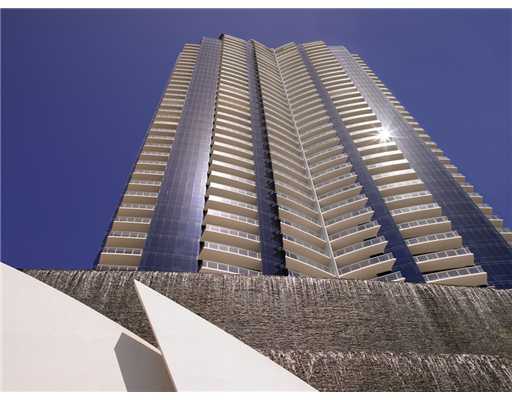 The Jade Beach oceanfront tower is perfectly located right on the Sunny Isles Beach. Designed by a team of world renowned architects & interior designers, including award winning Uruguayan architect, Carlos Ott, recognized internationally as one of the leading design architects of the last 20 years, Luis Revuelta, designer of Jade Residences at Brickell Bay, Santa Maria & Bristol Tower, & Kobi Karp, designer of M Resort Residences. Amenities include a world class fitness center with spa, massage room, sauna, tennis, business center, and children’s room, infinity-edge pool with juice bar, beach attendants, movie theatre, pet friendly, lounge, valet parking, and concierge. View Jade Beach Real Estate properties for sale. Jade Ocean built in 2009 at 17121 Collins Avenue is an all impact glass premier luxury ocean front high rise building with 52 stories and uniquely modern spectacular design for Sunny Isles Beach. 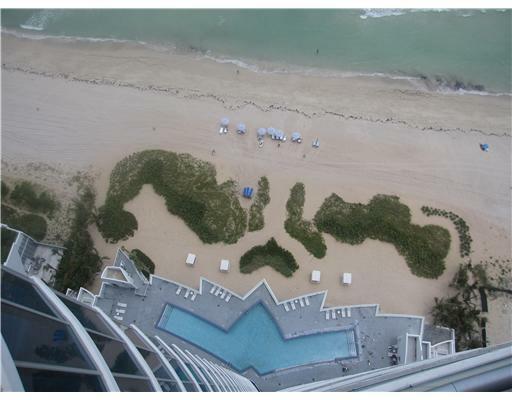 Jade Ocean condominium was designed by Carlos Ott, a world renowned architect. Jade Ocean is equipped with modern amenities to define luxury living. Extra features that are included are; the latest communication technology, large terraces, floor to ceiling impact resistant doors & windows, gorgeous views of the ocean, Snaidero cabinetry and Miele appliances in the kitchens. 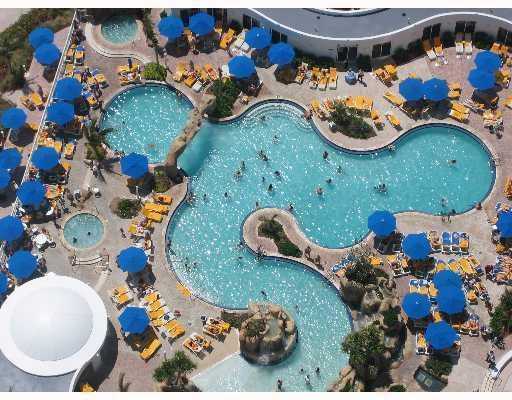 Resort style amenities include concierge, beach service, sunrise and sunset pools, spa, valet, fitness center, mini movie theater, pet friendly, children room & business center. 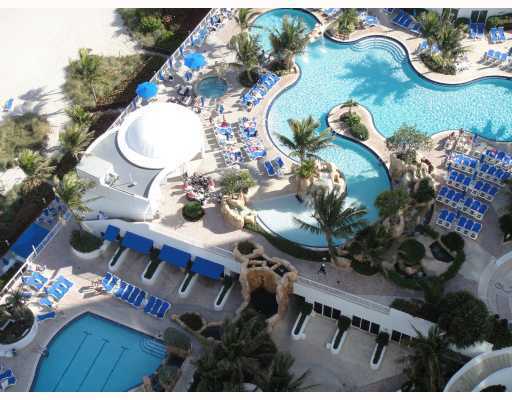 Jade Ocean is located just south of Jade Beach in the heart of Sunny Isles. View Jade Ocean Real Estate Properties for sale. 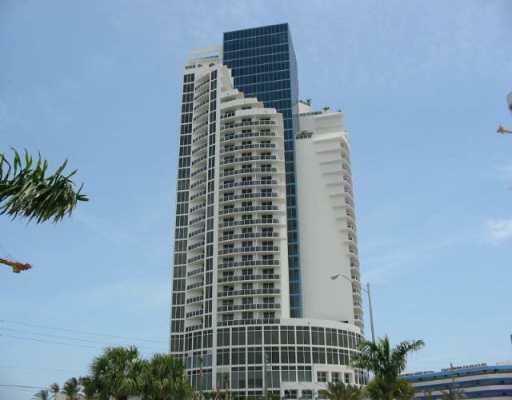 La Perla built in 2007 at 16699 Collins Avenue is a 43-story high-rise luxury ocean front condominium with 326 residences in Sunny Isles Beach for a chosen few destined to call this home. La Perla features panoramic ocean and Intracoastal Waterway views, floor to ceiling impact glass tinted windows, private glass railed terraces, Italian granite kitchens. This unique Sunny Isles oceanfront park sets the stage for your entry into your new home, (as the grand entryway is through Oceanfront Park), where cascading fountains and manicured tropical grounds greet residents and guests. The landscape sundeck, adjacent to a private historic finishing pier and man-made reef, is the perfect spot to spend an afternoon enjoying the view of Oceanfront Park. Resort style amenities include a climate controlled ocean side pool, large beachfront whirlpool spa, sports lounge with billiards, ocean view hi-tech cardiovascular fitness center, 24-hour valet service, 24-hour desk attendant, pet friendly, business center and conference room, multi-function party room, and children’s playroom. View La Perla Real Estate properties for sale. 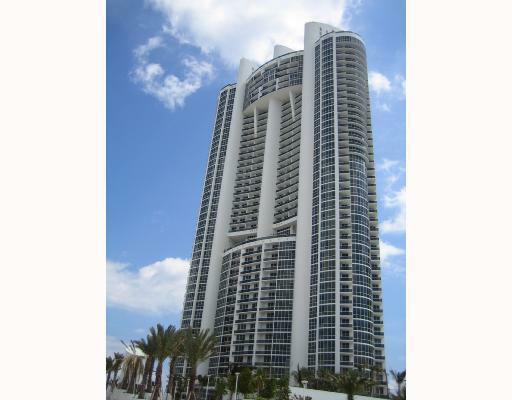 Millennium built in 1999 at 18671 Collins Avenue is a 33 story high rise luxury oceanfront condominium with 120 residences inside Sunny Isles Beach, Florida. 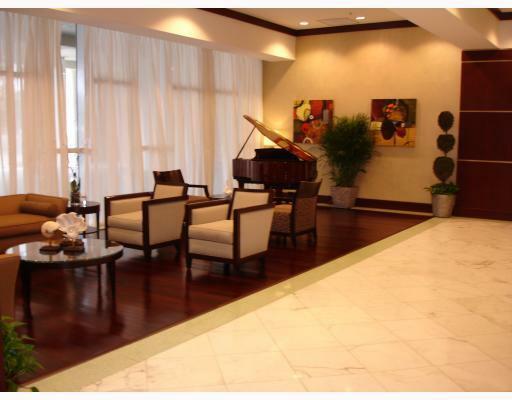 This luxury condominium was designed by the architectural firm of Arquitectonica. The Millennium’s living area ranges in size from 1,640 to 3,890 square feet, with only four residences per floor providing privacy for its occupants. Gourmet kitchens have European wood cabinetry with granite countertops and General Electric appliances, Private glass-enclosed elevators with panoramic views. The amenities include; Oversized heated pool, outdoor spa, Poolside Cabanas (for purchase), Elevator, Clubhouse, Basic Cable Security Electronic Secured Entrance, 24 hr Security Guard, Lobby, beach attendant, sauna, steam room, Billiard, Ping-Pong, Putting Green Golf, 2 story gym, Champion lighted tennis court, pet friendly, 24hr Security, Concierge and Valet parking, Great views of Ocean Intracoastal and City. View Millennium Real Estate properties for sale. 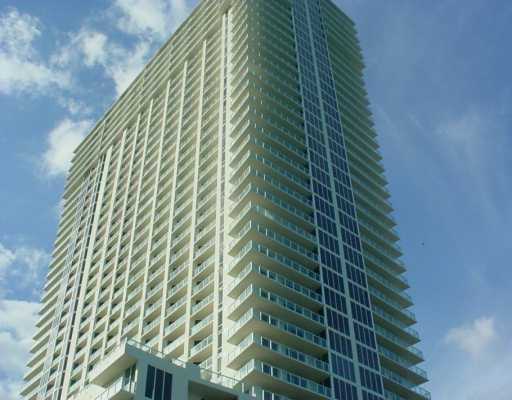 Ocean Two- built in 2001 located at 19111 Collins Avenue has 254 residences. The Ocean Two luxury condo twin towers high-rise designed by Sieger Suarez Architectural Partnership Group has an open floor plan with panoramic ocean views featuring granite countertops, floor to ceiling glass windows, tennis courts, and two-story entertainment centers. Ocean Two has two interconnected towers sculpted in staggered heights from 26 to 34 stories on Tower One with staggering heights in Tower Two from 34 to 42 stories. 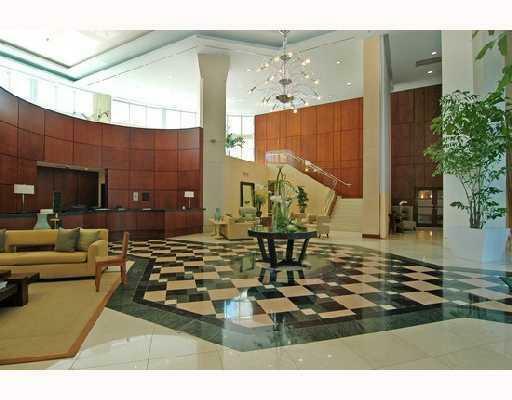 Enjoy walking inside the three story lobby and two story oceanfront club and fitness center. The two-and three-bedroom tower residences offer 1,900 to more than 2,600 square feet of air-conditioned living space, with floor-to-ceiling glass, plus oversized private balconies. Ocean Two residents will enjoy the added luxury of 24-hour security, and around-the-clock concierge staff, pet friendly, and amenities that include a two-story lifestyle/entertainment center with a fully equipped health club and spa overlooking tennis courts, cabanas and an oceanfront pool, and more than 500 feet of lush snowy white beach front. 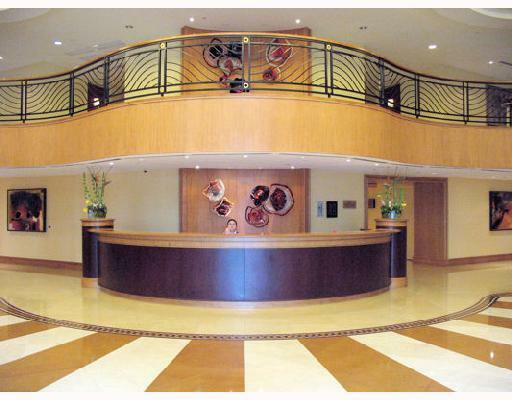 Best of all, complimenting these facilities are around-the-clock gated security and private key card access to covered garage parking. View Ocean Two Real Estate properties for sale. 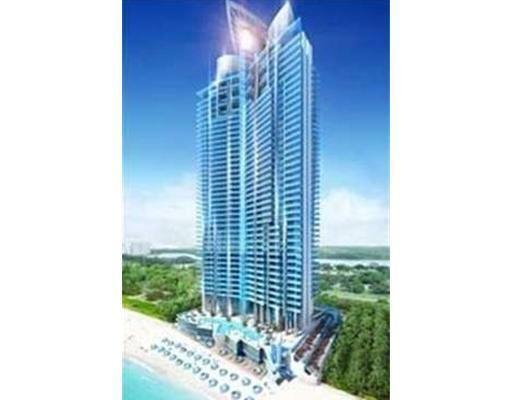 Ocean Three- built in 2003 located at 18911 Collins Avenue in Sunny Isles Beach is a 33 story premier luxury beach front condominium with 300 feet of magnificent ocean frontage. Ocean Three is a full service building. 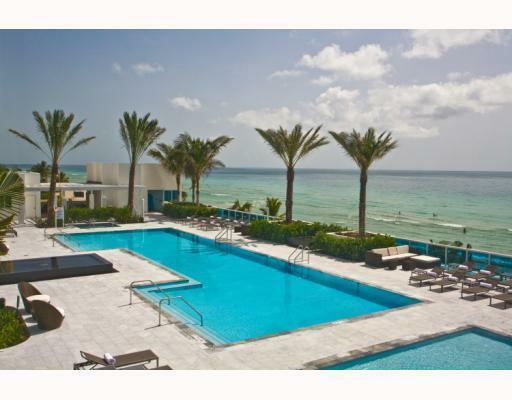 Designer Architect Sieger Suarez Architectural Partnership perfected Ocean three’s luxury ocean front condos with two, three and four bedroom residences ranging from 1,591 to 3,945 square feet. All elite residences offer views of the Atlantic Ocean and the Intracostal Waterway, with breathtaking floor to ceiling energy saving windows and spacious, private balconies and custom designed Italian Kitchens. 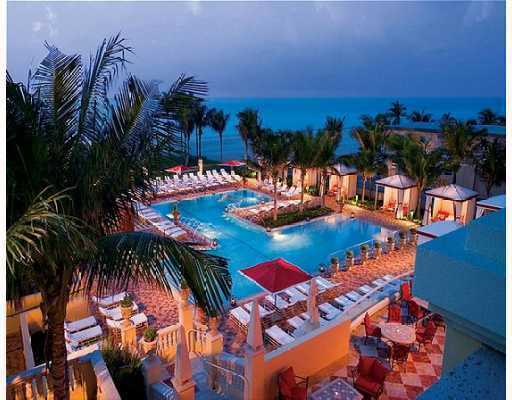 Enjoy the grand 2 story marble lobby and rooftop spa to the ocean pool deck and full-service beach club. Amenities include; spectacular 3 story health and fitness center overlooking the ocean featuring state-of-the-art exercise equipment, his and her locker rooms complete with sauna, steam, and massage area, Tropical Beach Club with poolside bar and grill overlooking the ocean, media and multi-purpose rooms, private key elevator access/foyer entrance, valet parking, concierge, 24 hour security, pet friendly, oversized heated beachfront swimming pool and spa, Beach Service, beach side cabanas, Tennis, Billiards, Café, Pet Friendly, and a roof top Jacuzzi with fantastic ocean views. View Ocean Three Real Estate Properties for sale. 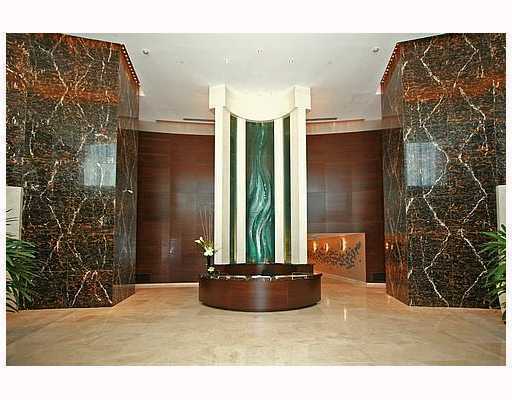 Ocean Four - built in 2006 is located at 17400 Collins Avenue is 41 stories tall, spectacular in its own right. This superbly positioned condominium offers astounding direct ocean and wide bay views with 264 residences. Ocean Four's floor plans have been designed to take full advantage of every corner of each private residence allowing for optimal views along with space and light. Visually stunning architecture by the award-winning firm of the Sieger/Suarez Architectural Partnership is paired with equally dazzling interiors by RTKL to create a truly one-of-a-kind oceanfront living experience. Ocean Four is nestled on 300 feet of Atlantic Ocean Frontage. Amenities include; a three story lobby, business Center, concierge, pet friendly, 24 hour valet, health spa, state of the art fitness Center, Heated Pool, Spa, and Private Beach. 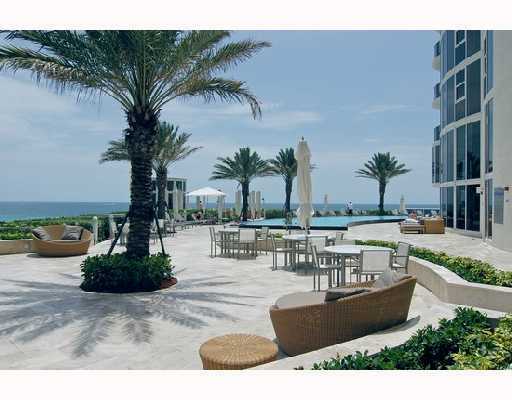 Ocean Four is nestled on 300 feet of Atlantic and has a sensational beach front restaurant. View Ocean Four Real Estate properties for sale. Sayan – built in 2007 and located at 16275 Collins Avenue with just 88 residences offered in one, two and three bedroom layouts ranging in size from 1,222 sq ft. to over 3,400 sq ft. in just four floor plans, with Italian kitchens with Miele appliances. The Sayan overlooks the Atlantic Ocean in Sunny Isles Beach, and offers a lifestyle that is, although visionary in concept, exceptional in reality. By definition, it is a Polynesian word that means "place of ultimate relaxation." In concept and execution, it is the newest residential address from J. Milton & Associates, a company that represents five generations of commitment to the highest standards of craftsmanship and service. Amenities include a bar, business center, exercise room and spa, pet friendly, valet parking, concierge, heated infinity edge pool with tropical gardens, sauna, private elevators, and private beach. View Sayan Real Estate properties for sale. 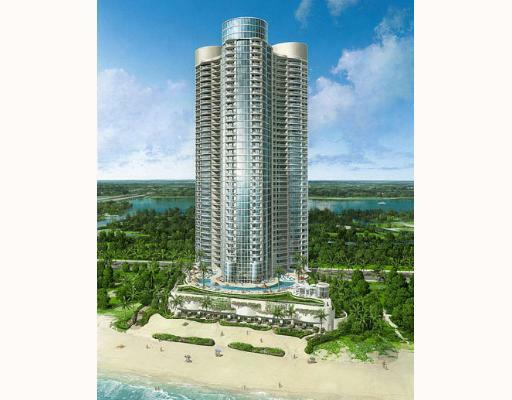 Trump Grande Ocean Resort and Residences (Trump International Sonesta Beach Resort) - built in 2003 and located at 18001 Collins Avenue with 372 condominium hotel residences. For those looking for the concept of a condominium resort with the ambience of home, yet having amenities of an international resort condo hotel, you just found your home! Trump Grande is comprised of the Trump International Sonesta Beach Resort, a luxury condominium hotel) This rich sophisticated lifestyle is for those with uncompromising taste and requirements as you notice from your fist steps inside the two-story lobby designed by Spillis Candela that you can enjoy amenities such as 24-hour concierge, beachfront program with water sports and attended cabana service, family activities programs, elaborately designed heated ocean front lagoon style aqua center with slope pool, scenic poolside cafe for casual dining, luxurious full-service restaurant with indoor and outdoor dining, delectable room service dining, sophisticated martini bar, on-site specialty shop for convince, internet cafe business center, 20,000 square feet of meeting space, 24-hour security, 8000 square foot fitness center with state-of-the-art cardiovascular equipment, individualized personal training, aerobic and strength training, separate men’s and women’s locker rooms, complete with saunas, steam rooms, massage and spa treatment rooms. 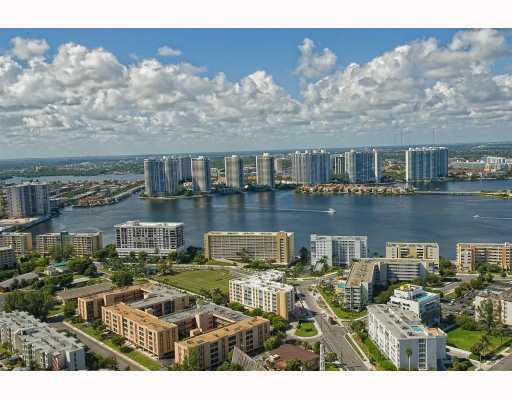 View Trump International Sonesta Real Estate properties for sale. Trump Palace - built in 2006 and located at 18101 Collins Avenue is an awe inspiring 55 stories above the Miami Beach skyline with 278 residential units. Trump Palace, a luxury high end residential condominium offers amazing panoramic views of Miami, Miami Beach, and the Atlantic Ocean. Trump Palace floor plans feature either 1, 2 or 3 bedrooms ranging from 1275 square feet to 2558 square feet. 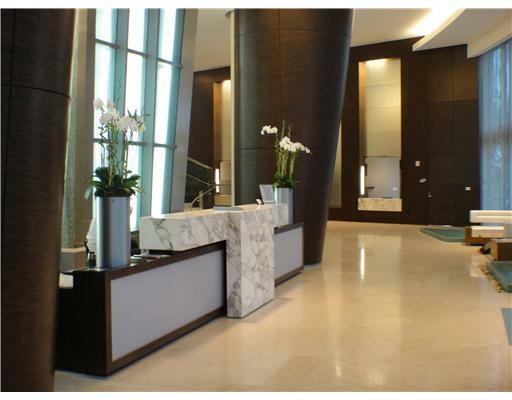 The amenities of Trump Palace Sunny Isles real estate start with the beautiful two-story lobby and continue to wrap you in luxury all the way to the tropical landscaping in the water activities center. The 12,000 square foot lobby is designed by Michael Wolk, enjoy 1,000 feet of breathtaking beachfront property, temperature-controlled lagoon pool, two waterfalls and a snack bar & grill, 6,000 square foot duplex spa with his-and -hers Jacuzzi, sauna, steam room, treadmills, stationary bikes and state-of the art nautilus equipment, two floors of multi-purpose rooms, concierge services, full service valet and car wash, tennis, and no pet restrictions. Your children will enjoy the youth activities pavilion and playground, while parents can indulge in the indoor and outdoor gourmet dining rooms. 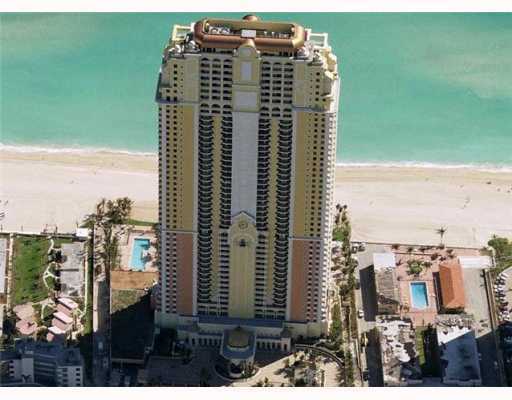 View Trump Palace Real Estate for sale. Trump Royale- built in 2008 and located at 18201 Collins Avenue, this amazing high end 55 story luxury residential condominium, directly on the ocean, is the sister tower to Trump Palace with over 380 residential units, this luxury tower has become one of the most prestigious addresses in Sunny Isles Beach. The units have CIMAX smart home technology systems prewired for convenience, Italian-designed custom aluminum kitchen cabinets, Miele and Sub Zero appliances with slate countertops, floor to ceiling windows, private, and high speed elevators leading to your residence. There is an 8,000 square foot duplex spa with his and hers jacuzzi, sauna, steam room, treadmills, stationary bikes and state of the art Nautilus equipment, two floors of multi-purpose rooms, professional concierge services, business center and meetings room,24-hour room service, in-room massage service, full service valet and car wash. View Trump Royale Real Estate properties for sale. Trump Towers - 15811 Collins Avenue features three 45 story tall towers with 271 residences, each with panoramic sweeping water views, private entry elevator, expansive balconies with glass and aluminum railings, floor to ceiling windows, 10 to 12 foot ceilings, gourmet Italian designed kitchens with Mile and Sub-zero appliances and Italian cabinetry, with granite or marble countertops in kitchens and bathrooms. The buildings were designed by the architectural partnership of Sieger and Suarez. There is a selection of 7 distinct floor plans from spacious two bedrooms with two bathrooms to three bedrooms with three and one half bathrooms. The towers super luxurious amenities feature an elegant three-story lobby, a 900 foot stretch of sugar-sandy Atlantic Ocean frontage, Oceanside lavish heated swimming pool and spa with pool attendant service from towels to martinis, recreational facilities with state-of-the-art fitness center and resident's heath spa, billiards, conference room, 24-hour valet services, 24-hour security, multi-purpose club room and beachfront cabanas. 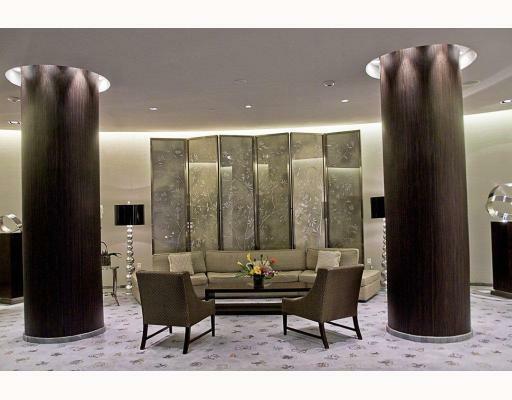 View Trump Towers Real Estate properties for sale. 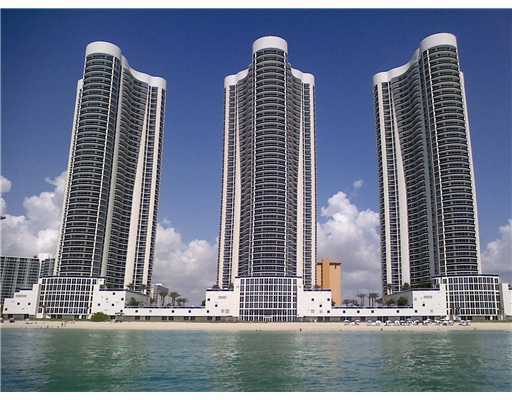 Turnberry Ocean Colony - built in (2006)16051 Collins Avenue and built in (2007) 16047 Collins Avenue, these two lavishly sleek modern 37-story oceanfront towers have 260 ultra luxurious residences with 2 to 5 bedroom floor plans. The Kitchens feature imported Italian cherry wood by Snaidero with granite countertops, Meile and subzero stainless steel appliances. The expansive terraces and floor to ceiling sliding glass doors are sumptuous! The ceiling heights are 10 feet high carrying four residences per floor. Penthouse levels feature three residences per floor with ceiling heights of 12 feet. Amenities include two restaurants with gourmet oceanfront dining, an amazing state of the art fitness center and spa with world-class therapists and trainers, beach and pool food service attendants, beauty salon, limousine service with reservation, computer programmed card operated private elevators, 24 hour valet, 24 hour security, 650 feet of pristine white sandy beaches.View Turnberry Ocean Colony Real Estate for sale.